Boston Terriers have been an extremely popular breed since their creation more than 100 years ago. These dogs are known for their loving, affectionate, and playful nature as well as their intelligence. Consummate family dogs, Boston Terriers are lovable pets for any family. A lesser known fact about Boston Terriers is that, just like Pitbulls, they were originally bred to be fighting dogs. You can see this lineage in their stocky, muscular builds. However, just like Pitbulls, that violent streak has been bred out, and now they are simply loving, super cute family dogs which are known for their peppy, affectionate nature. Boston Terriers are perfect family companions. They are highly affectionate and love to be with their people all the time. These dogs are extremely smart, however they are also extremely stubborn. That means that you’ll have to be patient with training. Boston Terriers are so smart, the key to training them is to outsmart them. Once you do that, you’ll have a well trained, affectionate little guy or girl that’s a joy to be around. Boston Terriers may be small, but there’s a lot of energy in their little bodies. In addition to being known for their lovable demeanor, they are also known for their high energy level and random outbursts of goofiness. While this skyrockets them up the cute scale, it also means that they need proper exercise to work off a little bit of that energy. Daily walks are a must, and a fenced in yard for them to romp around in is preferred. As I said, the combination of intelligence and stubbornness of Boston Terriers can make training a challenge. The key to training these guys is to make it fun. You have to nip their stubborn attitude in the bud before it becomes a problem. Generally speaking, if you make the training exciting and include plenty of treats, the bribery will be enough to counteract the orneriness. Like all dogs, Boston Terriers require early socialization. 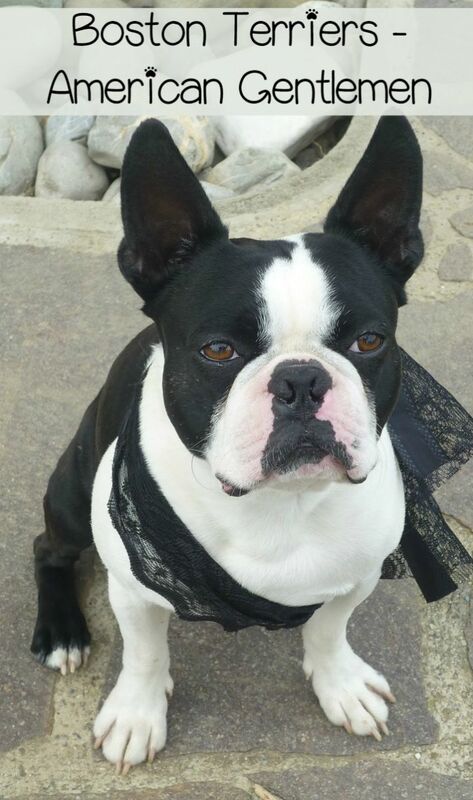 Proper socialization ensures that your Boston Terrier will be happy and friendly no matter who or what it encounters. Boston Terriers are a generally healthy breed. Like all breeds, Boston Terriers are more prone to certain conditions than others, however being more prone doesn’t mean they will suffer from any of these ailments. It just means the likelihood is a little higher than other breeds. Also, be aware that poor breeding increases the risks for any of these conditions. Well bred Boston Terriers are only slightly more likely to get any of these conditions than other dogs. Boston Terriers are very easy to care for. All they need is a little exercise, a lot of love, and a weekly bath. That’s it. Easy peasy. Boston Terriers are one of the best family dogs out there. They are highly affectionate, loyal, and energetic. Although they can be prone to stubbornness and bouts of extreme goofiness, those two things are actually what help make them so great. They love to romp and play with the family, and their stubbornness means they are committed to solving any problem in their path. If you think this breed would make a good addition to your family, remember: adoption is the best option. Check your local animal shelter or online rescue sites for Boston Terriers that need good homes. Shelter animals are some of the most highly affectionate out there.